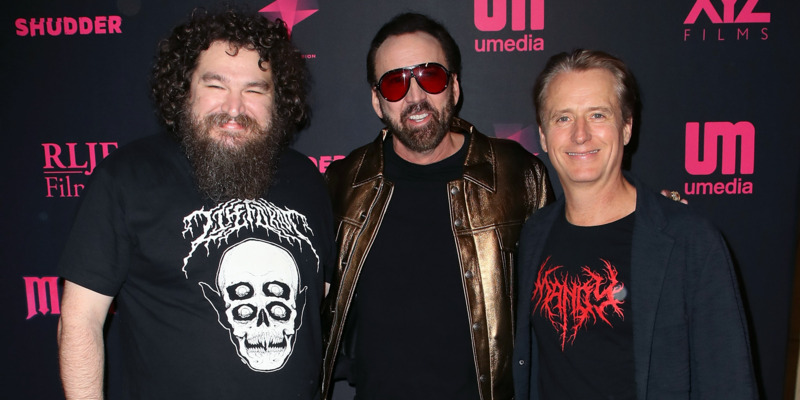 Panos Cosmatos’ latest movie “Mandy,” starring Nicolas Cage, is achieving the impossible for most day-and-date movies, as audiences would rather see it in theatres than video on demand. Thanks to fans demanding it be shown in more theatres, RLJ Entertainment, the distributor of “Mandy,” has the movie booked in theatres until November. With the fall movie season in full swing, much of the weekend box-office discussion has focused on the impressive staying power of titles such as “The Nun,” “A Simple Favour,” and “The House With a Clock in Its Walls,” which audiences continue to flock to after their opening weekends. 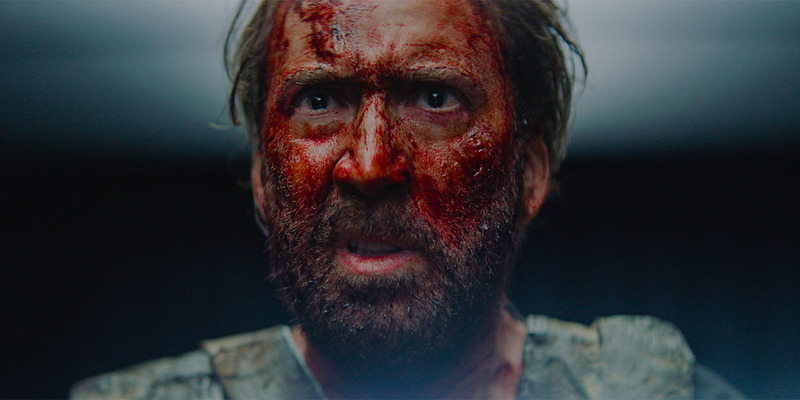 Panos Cosmatos’ acid-laced revenge movie starring Nicolas Cage, “Mandy,” isn’t just having a solid theatrical run, it’s defying the release strategy of most day-and-date movies before it. In the three weeks since opening, the movie has only played in 210 theatres, but to date it’s grossed close to $US840,000. And that doesn’t even count the money coming in through video on demand, which the movie’s distributor, RLJ Entertainment, boasts is in the millions. When a movie is released on a day-and-date platform, meaning its distributor releases the movie in theatres and streaming/video on demand simultaneously, the theatrical component of the release is often used almost as a unique brand of advertising for the VoD option. Because the major theatre chains won’t allow day-and-date movies to be played in their multiplexes (as they are not exclusively shown on the big screen), these titles instead play in limited release at independent chains and art houses, typically in major cities. So the reviews, feature stories, and any other attention from the theatrical release boost the movie’s VoD exposure, as people who want to see the movie but don’t live near one of the theatres showing it can easily order it on their TVs. 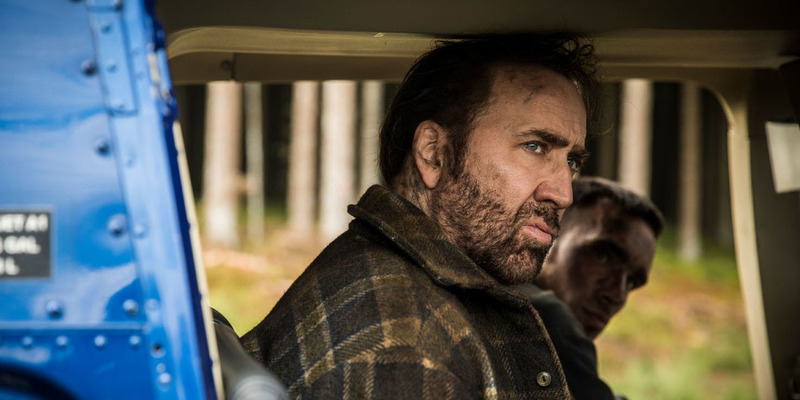 Cage, in particular, has capitalised on this recently, as many of his movies in the past few years have been straight-to-VoD or day-and-date. They released it in 75 theatres its first week, and had Cosmatos, Cage, and costar Linus Roache show up for live Q&As following some special Thursday-night screenings before its opening weekend, the hope being that exposure and the 94% Rotten Tomatoes score the movie has would bring in the audiences that a limited marketing budget a day-and-date movie can’t. David Livingston/GettyPanos Cosmatos, Nicolas Cage, and Linus Roache at a screening of ‘Mandy’ before its theatrical release. Though the movie earned a modest $US225,723 its first weekend, there were sellout showings – from New York’s Alamo Drafthouse to Chicago’s Music Box to even an art house in El Paso, Texas. And then something unusual happened: Instead of people ordering the movie on VOD, they took to social media and demanded a wider release so that “Mandy” could open at a theatre near them. The twitter handle @CheddarGoblin – named after the mac-and-cheese-puking green goblin featured in a commercial that appears in the movie – suddenly became the destination for “Mandy” fans to get the latest updates on which theatres around the country were playing the movie. And the hunger for the movie only increased in the second weekend it was out, as the number of theatres showing “Mandy” dropped down to 71. The loss of four screens may not seem like a big deal, but it was for fans living in southern California, because “Mandy” didn’t show at a single theatre in Los Angeles that weekend. This wasn’t because RLJ Entertainment had given up on the movie; it simply was going with its usual formula of decreasing its theatrical count in week two and letting VoD become a more attractive option to see the movie. The company had done its theatre bookings long before the fan outcry, and that meant it couldn’t add new screenings because the theatres already had a full slate of titles for the weekend. Last weekend, the movie played at three theatres in LA. Despite the loss of a major market, the movie saw a relatively minuscule 31% drop in ticket sales from its opening weekend – in fact, its $US155,405 take was one of the largest for any indie movie that weekend. “With a day-and-date release, it’s really hard theatrically to break out, it’s nearly impossible,” Mark Ward, chief acquisitions officer at RLJ Entertainment, told Business Insider. Ward promises that, if there’s demand, the movie will continue its theatre run, so it seems the “Mandy” craze isn’t going to end anytime soon. Ward believes we could be seeing the start of “Mandy” becoming what “The Rocky Horror Picture Show” is now: A movie that continues to be played in theatres for its fans over decades. But for the here and now, he believes “Mandy” has changed how day-and-date movies are perceived. “I feel ‘Mandy’ is the new benchmark in terms of this type of release,” Ward said.